This is an AA Top grade coffee from the Gichathaini Factory located in Kenya's Nyeri district. Gichathaini is one of three washing stations that are part of the Gikanda FCS. 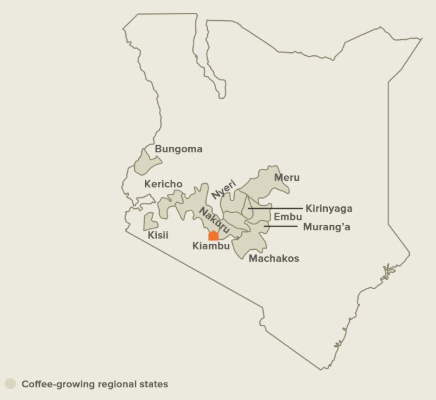 Growing altitude ranges from 1600 - 1900 m and, varieties include SL28, SL34, and Ruiru11.